The average London property will set buyers back more than £1m by 2030, according to new analysis that reveals the capital’s population will increase to 11 million in that time. Oxford Economics – a global forecaster that has recently published analysis of change that is likely to confront London’s economy in the decade and a half from 2015 up to 2030 – says jobs growth and a shortage of housing will drive property price inflation. And the analysts add the average price of a London home could rise above £1m if property market inflation continues to outpace earnings growth. 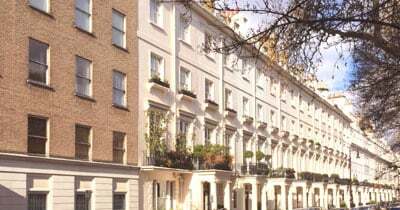 The average London property currently costs £490,000, according to the Office of National Statistics. However, the total number of people living in the capital is projected to rise by 2.5 million for today’s population of 8.5 million, says Oxford Economics. It points out that population forecasts of 10 million by 2036 put forward by the Mayor of London’s office fail to take into account the rapid increase in employment over the past two years. Oxford Economics says if the rise in population growth coincides with "an increasing divergence between those with high and low incomes, then it will mean affordability problems for people on low incomes. Of course a lot will depend on the rate of house building."